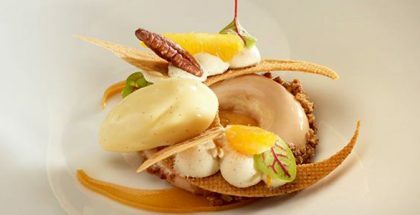 Fabrizio Fiorani, pastry chef of Ristorante Luca Fantin in Tokyo (No.18 in Asia’s 50 Best Restaurants 2019), has won the title of Asia’s Best Pastry Chef 2019, sponsored by Valrhona. The Italian chef, one of the protagonists of so good # 18, succeeds Nicolas Lambert. He discovered his love of pastry at the age of 14 when he worked in a small ice cream shop close to Rome during the summer holidays. Now at 32, he is known for making modern and creative desserts with top-quality ingredients and for using ice cream as a recurring component in all his sophisticated constructions. 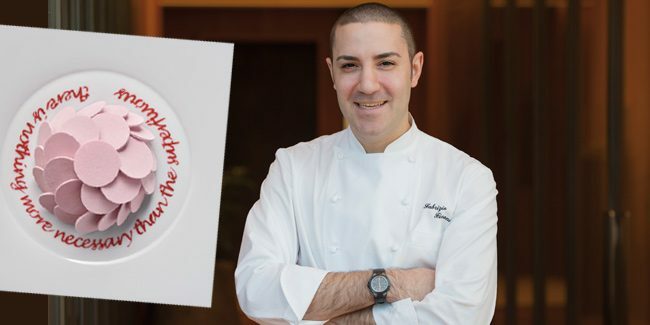 Before landing in Tokyo, he trained at some of the most respected culinary institutions in Italy: the one Michelin-starred The Cesar at La Posta Vecchia Hotel, two-starred Il Pellicano and three-starred Enoteca Pinchiorri. Another highlight of his brilliant career was his stage as pastry sous chef at La Pergola, where he learned the basics of traditional pastry. When Heinz Beck announced his plans to open a restaurant of the same name in Japan, Fiorani wanted to take another step in his career. He currently works as a pastry chef at Bulgari Tokyo-Osaka Restaurants, creating candies with his Franco-Italian look not only at Luca Fantin in the Ginza Tower of Bulgari, but also in the cocktail lounge of the restaurant, Il Bar, the numerous Bulgarian shops Il Cioccolato of the brand and the Il Café in Osaka. In 2018 he published the book Tra L’Onirico e Il Reale (Between the Dreamlike and the Real), where he explains his signature recipes.